The Lake Wyndemere apartments in The Woodlands are part of a large Texas portfolio purchased by Florida-based multifamily firm. HOUSTON – (Realty News Report) – American Landmark, a Tampa. 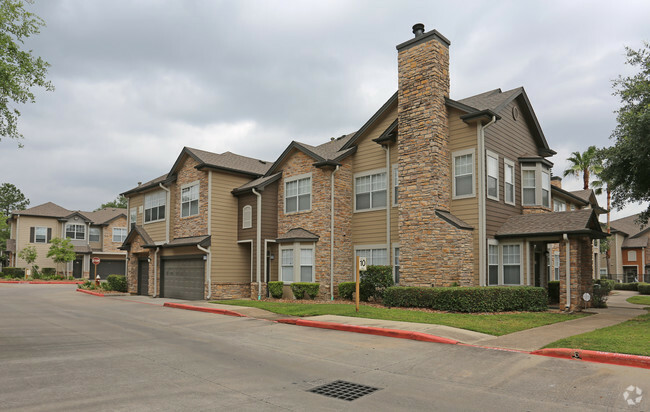 Fla.-based multifamily owner-operator, has acquired a six-property multifamily portfolio located in Texas’ major metro areas. The portfolio includes multifamily assets in Houston, San Antonio, Austin and Irving, totaling 2,284 apartment units. The acquisitions bring American Landmark’s Texas portfolio up to 33 properties. The company currently owns and manages approximately 25,000 apartments throughout the Southeast and Texas, and plans to add another $2 billion in properties to its growing multifamily portfolio this year. American Landmark plans to implement $14.7 million in capital improvements for community and apartment amenities. Improvements include granite countertops, package locker systems, stainless steel appliances, clubhouse enhancements and pet grooming stations. · Hyde Park at Lake Wyndemere (Houston), to be renamed Artisan at Lake Wyndemere, is located at 2109 Sawdust Road in The Woodlands neighborhood. Built in 2000, the garden-style community includes 320 units and was 96.8 percent occupied at the time of purchase. · Hyde Park at Enclave (Houston), to be renamed Hayden at Enclave, is located at 12951 Briar Forest Drive. Built in 1999, the newly renovated community includes 476 units and was 95.1 percent occupied at the time of closing. · Manor at Castle Hills (San Antonio), to be renamed Alon at Castle Hills, is situated at 1835 Lockhill Selma Road. Built in 2000, the garden-style complex features 306 units and was 97.7 percent occupied at the time of purchase. · Hyde Park at Ribelin Ranch (Austin), to be renamed the Asten at Ribelin Ranch, is located at 9900 McNeil Drive. The garden-style community includes 350 units and was 96 percent occupied at the time of purchase. · Hyde Park at Wells Branch (Austin), to be renamed Beck at Wells Branch, is located at 2801 Wells Branch Parkway. Built in 1999, the community features 576 units and was 93 percent occupied at the time of closing. · Lakepointe at Las Colinas (Irving), to be renamed The Blvd, is located at 5353 W Las Colinas Boulevard. Built in 2012, the luxury apartment community includes 256 units and was 96.8 percent occupied at the time of closing. American Landmark owns 25,000 units in Florida, Georgia, North Carolina, South Carolina and Texas.